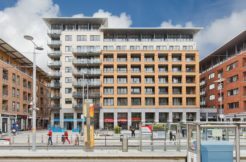 Owen Reilly is delighted to present this stunning, newly built, very spacious, light filled 2 bedroom duplex penthouse apartment to the short term rental market. 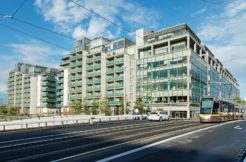 This property is centrally located, only 5 minutes’ walk from St Stephens Green and benefits from its own lift which opens inside the property as well as parking. The exceptionally presented interior comprises a very bright living room/high specification kitchen with access to a terrace study on the lower floor and two large double bedrooms with master en-suite and walk in wardrobe, luxury bathroom and large roof top terrace on the upper floor. 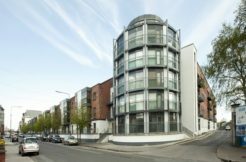 The property is fitted out to the highest standard and has a generous outdoor space.